When Grand Master Weeks began teaching in his home town of Walnut Ridge, Arkansas (current population: 5,338), no one knew what martial arts were! There were no dojos or schools, either to rival Weeks’ or to offer support or advice. So how did he even get started in training? Grand Master Weeks visited Century not too long ago, and luckily enough, he had some time to spare for an interview! The Centurion: So, what’s the snapshot version of your martial arts history, including how long you’ve been training for? 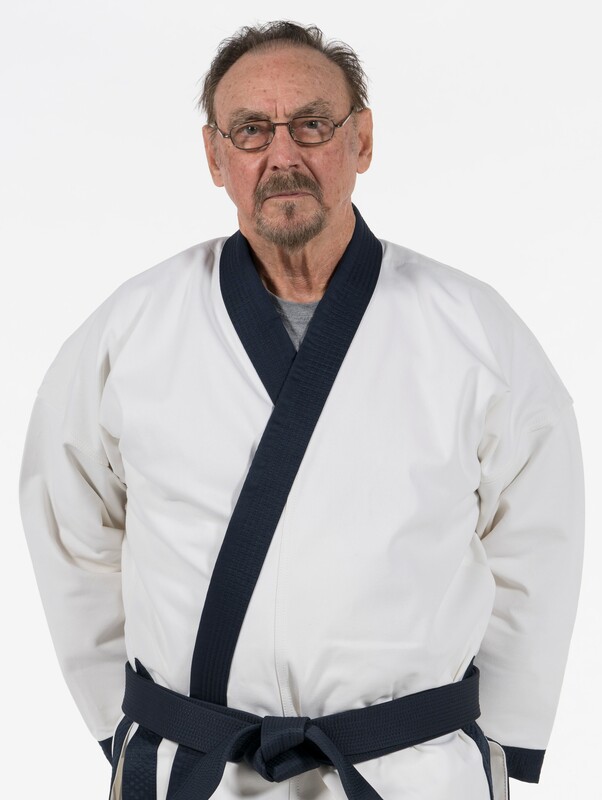 Grand Master Weeks: Well, I founded ATF (Allied Tang Soo Do Federation) Martial Arts in 1980, after a seven-year period with Mr. Chuck Norris and the United Fighting Arts Federation. My wife and I have both earned our first dan with Mr. Norris, in 1978 and 1979 respectively. I’ve owned and operated a school since 1972. I’m 81 years old. 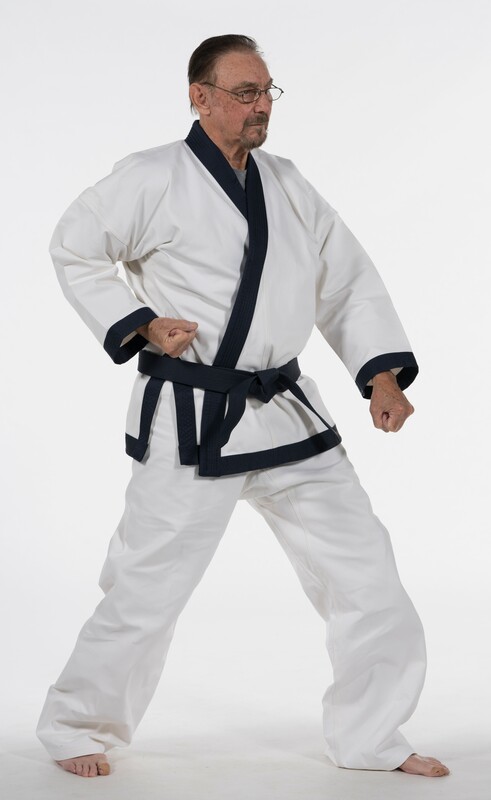 In January I will have been involved in martial arts for 50 years. Before that, I spent seven years doing western fencing. So I like the western blade, and I like the eastern blade. TC: What made you decide to start traditional martial arts? GW: I had just quit smoking, and I gained about 30 pounds in a few months. A friend of mine was a goju-ryu instructor in Rapid City, South Dakota. He said, “Come to my exercise period; we have a pretty strenuous exercise period right before class. Maybe you’ll enjoy it. Maybe it’ll help.” I did, and I was hooked. I said, “I’m staying for the class.” That was the first one, in 1969. And I’ve been active ever since, up until two years ago, when I retired from active duty. I passed my school onto Dr. Keith Waggoner, who is the president and 10th-dan grandmaster of Allied TSD Federation, and Mr. Rick Baker, who took over the business operation of the school. Right to left: Dr. Keith Waggoner, Grand Master Fred Weeks, and Mr. Rick Baker. TC: I assume these men were both your students before they took over your school? GW: Yes. Dr. Waggoner started with me when he was 12 years old. And there’s a story about Mr. Baker – his son, CJ, was a student of mine. Mr. Baker sat in the gallery, watching, for two years. He came to me one night and said, “You know, I’m thinking about starting class. Maybe I’ll be here next Tuesday.” I said, “Well, what about tonight?” And so he kicked off his shoes, he started, and he’s now a third dan. TC: How did you move from goju-ryu into the other variety of styles you’ve trained in? GW: At the same time I was studying goju-ryu, I was also working out with a Dr. Claud Woodson. He had a style called jukite ju-jitsu. So I was cross training in goju-ryu and ju-jitsu. Rapid City is an Air Force town – Ellsworth Air Force Base is nearby. There’s lots of turnover of personnel. Dr. Woodson was in the Air Force at that time, and eventually transferred out. Mr. Joe Tabor, who I started studying goju-ryu with, eventually transferred out, and the YMCA karate program was taken over by a Mr. Phil Mix, who had been an instructor in Washington, DC., for the Jhoon Rhee Institute. So that’s how I got involved in TKD. I studied TKD with him for a while, and after he transferred, Mr. Mike Murphy came in, same situation, Air Force personnel, and he had tang soo do. I got my red belt in TSD before I moved home to Arkansas. TC: What was the reception like when you brought martial arts back to Walnut Ridge? GW: No one knew what karate was! It was a foreign language. I have memories of working out in my mother’s yard, and the neighbor’s wondering if Mrs. Weeks’ son has just gone crazy! There were no martial arts schools anywhere around. I had nobody to work out with, so I started teaching just to have a workout partner. TC: Where did you teach? GW: The first place was half of a gymnasium I rented at Williams Baptist College. That was kind of interesting – we’d have a karate class on one side of the gymnasium, while they were playing basketball at the other end. There were lots of distractions, which really helped us work on focus. I also taught in the lobby area at the local jail. It was a free space, and I wasn’t charging for lessons – I just wanted to have someone to teach. Eventually, I got my own school. TC: And yours was the first, and only, school in the area at the time? GW: Yes, it was common in rural areas at the time (to only have one school if any). Eventually, another school in Walnut Ridge opened up to compete with me… it had pink glitter walls and pink shag carpet. We jokingly called it the Pink Pussycat Gymnasium! TC: Wait, I’m sorry – shag carpet? That sounds like a terrible idea! It’d just absorb all the sweat, and…now I’m just imagining what that would smell like. Why on earth would the owner do that? GW: I have no idea. Working out on it, that’s just…well, anyway, it didn’t last very long. I haven’t had any competition in my hometown for many years. TC: How did you join Chuck Norris’ system? GW: When I got my own school, I joined ATA, the American Taekwondo Association, just to have a club affiliation. Through them, I met a gentleman named Tip Potter, who was a personal friend of Chuck Norris. Mr. Potter had a school in Doniphan, Missouri, which was about 70 miles from my home. And he said, “If you want to train with me, we can get you rank in Mr. Norris’s system.” What an opportunity! You don’t pass that up. Distance is no problem. (My wife and I) would drive up there to train once a month, and he would come to my school once a month. We tested at the Airport Travel Lodge in Memphis, Tennessee, in 1978. Mr. Norris flew in, him and Mr. Bill Wallace. 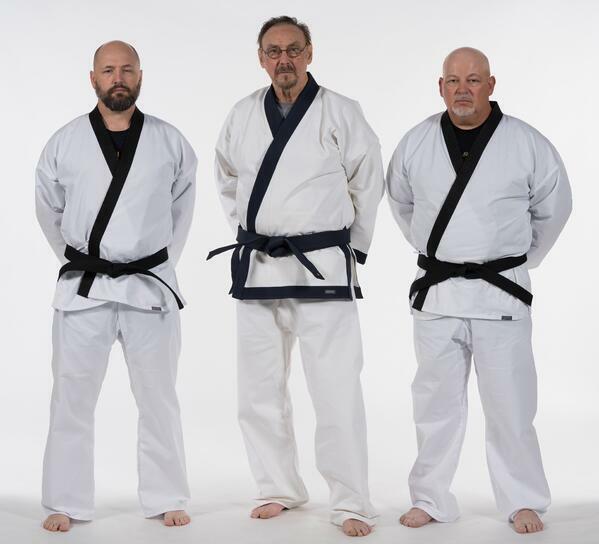 So, you know, no pressure – it’s just Mr. Norris and Bill Wallace on your test board, not to mention a couple of other really fine black belts. They rented the conference room, and we had our test. It lasted all day, and at the end of the day, Mr. Norris threw a big celebration banquet for everyone, and got a question-and-answer period from all the parents and all the students. It was an exciting day. TC: You’ve said that family has always been a key component of martial arts for you – both in your personal journey and in the way you taught and ran your school. GW: Oh, absolutely! I have several black belt families--- husband, wife, and children all black belts. Both my wife and I and my two sons are black belts. They didn’t have a choice (laughs). Our sons both started when they were five years old. In our school, our system is family. We teach a lot more than just kicking and punching. It’s a family atmosphere. We are concerned about the children who are in our class, to the point where we make them bring their report cards in, and they get stars and victory marks for A’s on their report cards. I’ve always believed that money was not a reason to not attend class. I always had scholarship students, every year I had my school. I knew that their families were hard-pressed for money and could not afford lessons, but the child needed to be there. And in many instances, that was the only place and the only time in their lives where they saw a structured, disciplined environment. That was our goal: to work with children, especially under-privileged children. TC: Being in martial arts as long as you have, you’ve seen a lot of development in the industry, and a lot of changes, too. What are some of the big ones? GW: Well, it goes without saying that the industry has grown, exponentially. I also think that a lot of things that we did back in the 60s and 70s, we wouldn’t be able to do now in our schools. You used to just take your life and your welfare into your own hands when you walked through the door! TC: Every martial artists has dozens, if not more, stories about specific moments that really stand out in their martial arts journey. I feel like we’ve touched on a few of yours – give us just one more to wrap up the interview! GW: Oh my goodness. Well, one is, when I celebrated 40 years (in martial arts) Dr. Waggoner contacted Mr. Norris, Bill Wallace, Dana White, Dan Inosanto, Century Martial Arts, Black Belt Magazine – I got all of these letters of recognition and congratulations, and (Dr. Waggoner) presented me with a plaque, and this book of letters from all of my students, present and past, even from years back. That was one of the most touching moments. Of course, seeing my wife get her first dan, thatn was a big, big joy for me. And both my sons, when they tested for their first-degree black belt, it was a source of pride for me because I knew they earned it. I always…my philosophy was, “My kids have to do everything twice as good as everybody else to attain the same rank.” There was no free ride for them. So when they got their belts, it was just a source of pride for me. So my granddaughter, forty years later, is taking jiu-jitsu instruction from a student of the same man that I took instruction from in the 1970s! That was just a “look here!” moment. TC: What would you say to someone who is currently where you were, back at the start of your journey, just beginning in martial arts? GW: Seek advice from people who have been there. Avoid the pitfalls. You know, they’re easy to avoid if you know they’re there. So get advice, and never quit. This is only a snippet of Grandmaster Weeks’ story – told in full, I have no doubt it would be more than could fit in a book, let alone a blog post. For me, getting to speak with such a highly esteemed black belt martial artist about the spread of the arts in our part of the country (my Oklahoma and his Arkansas are next-door neighbors, after all), was an enlightening experience and an important reminder to be thankful – after all, I had dozens of dojos to choose from, and not one of them had shag carpet!